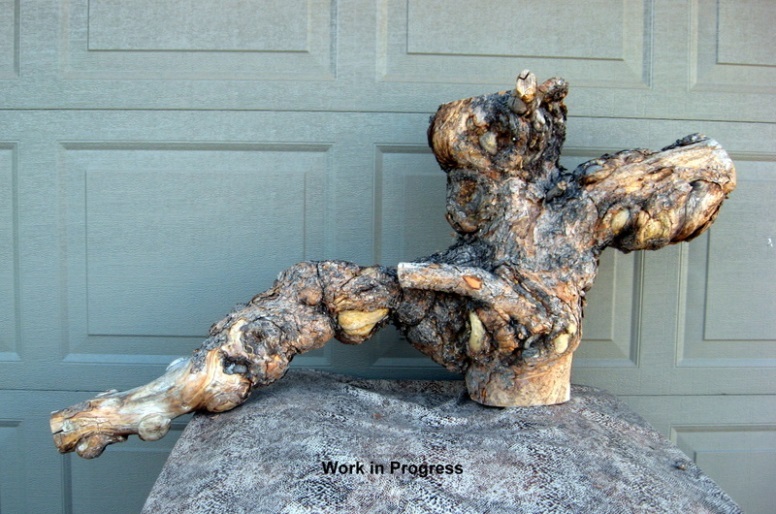 A new exciting carving is in process. 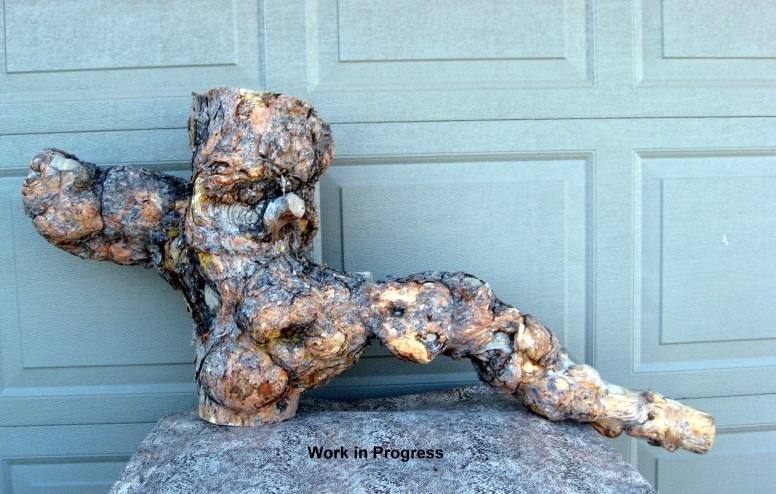 This carving is un-named and it is a unique piece of Lodgepine Burlwood from Wyoming. It’s been seasoned for 2 years and carving will start later this year. It’s singular shape will offer exceptional opportunities for a one-of-a-kind carving.